The picture above is from patinetaparato aka Patineta Pa’Rato. In addition to IG they have a FB page. 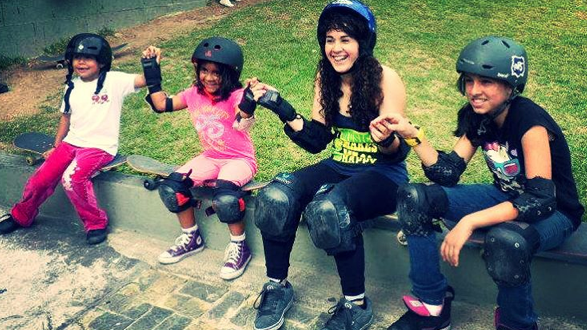 Their main objective is to support, promote, and encourage girls skateboarding in Venezuela. Below a video from their IG. It’s super stylish when girls follow their passions and encourage each other, so I hope you check these skater girls in Venezuela out. I love to see girls skateboarding and I really love to see girls getting help. Yes you can teach yourself skateboarding – but it’s also fun to get tips. 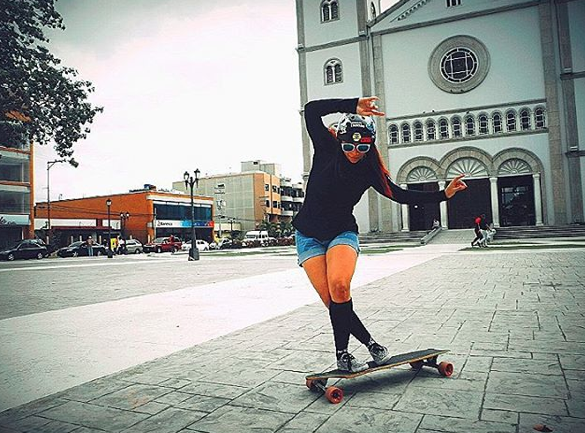 Thanks for sharing this picture longboardgirlscrewvenezuela. Asking for help can be scary – but it’s a good skill to have. It can help you learn faster and sometimes even make friends. Plus you can than pay it back by helping someone else. Today this girl is getting help skateboarding – tomorrow she is helping someone else learn skateboarding. A skateboarder can be a skateboarder any where – valenflores from Venezuela is now enjoying the beauty of Chile from her board. What’s the most beautiful place you’ve explored on your skateboard? 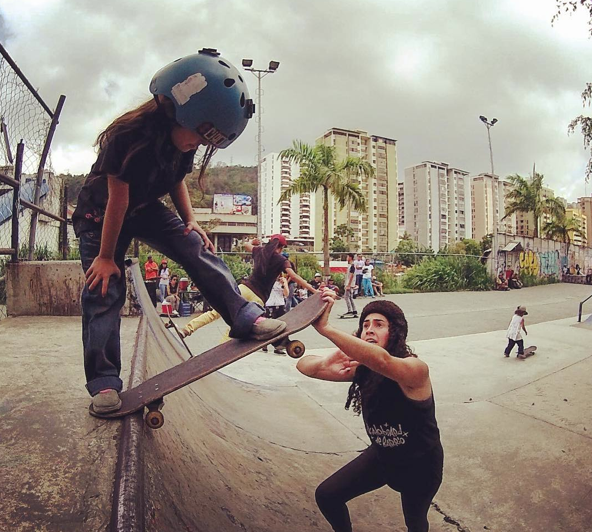 The picture and stories you share inspire girls all around the world to try skateboarding! Olyjoplin says Mondays are better when you dance on a longboard! Everyday is definitely better when you have something that sets you free – is good for you physically, mentally, & spiritually – maybe that’s why you hear #thankyouskateboarding. 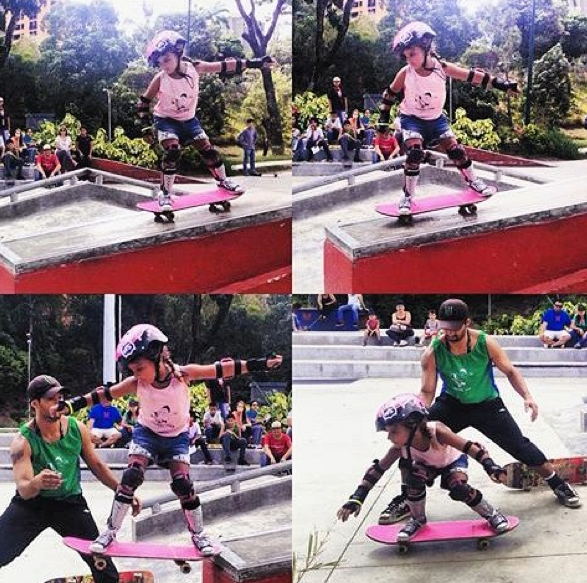 Olyjoplin is a sponsored skater in Venezuela – love her grace & style – so thankful she took the time to share.